Chlorine is the worst, cooking oil is second, insect repellant is bad, alcohol not so bad with shampoo and toothpaste following. 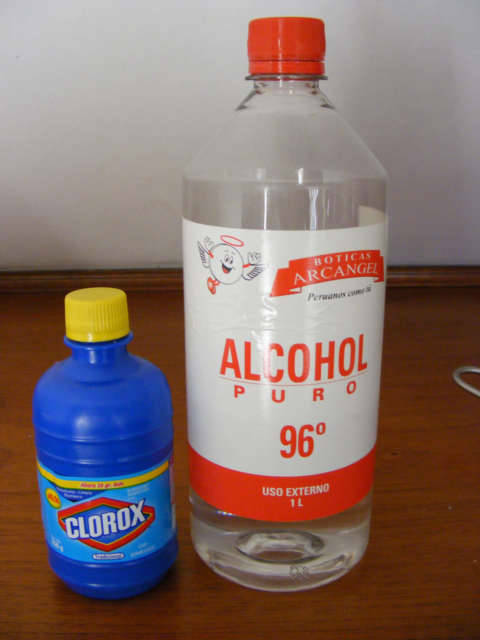 Clorox is easy to buy, and I am using it to soak vegetables and clean dishes, but I am not going to carry in my backpack. They sell travel bottles; I have yet to discover a bottle that makes me feel safe enough to carry Clorox in my bag, it is going to have to be a bottle inside a bottle. I will think on this, I am interested in learning how to eat vegetable and fruits. Moving and traveling is the problem.